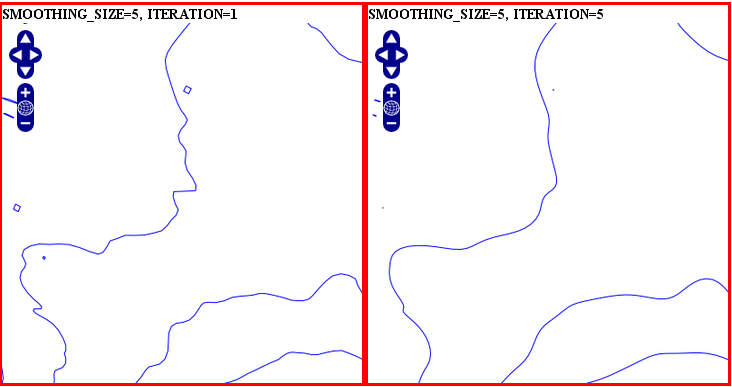 This is a proposal to add the ability to smooth shapes of a vector layer in MapServer. 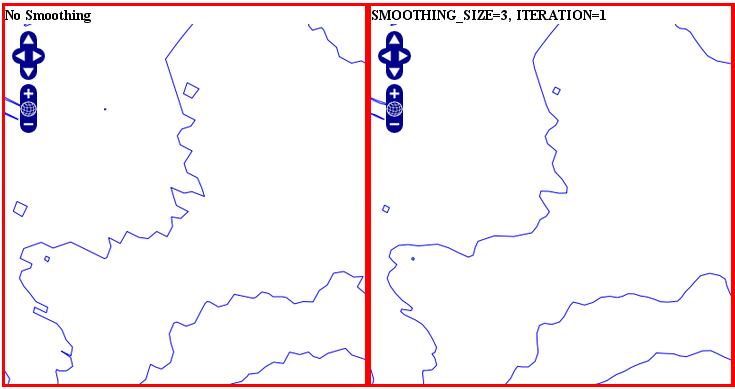 This RFC proposes the addition of shape smoothing in MapServer. The initial solution will implement the SIA algorithm: Smoothing via Iterative Averaging. To find out more about the SIA technique, see http://www.ijcee.org/papers/501-P063.pdf. More algorithms could be implement in the future. 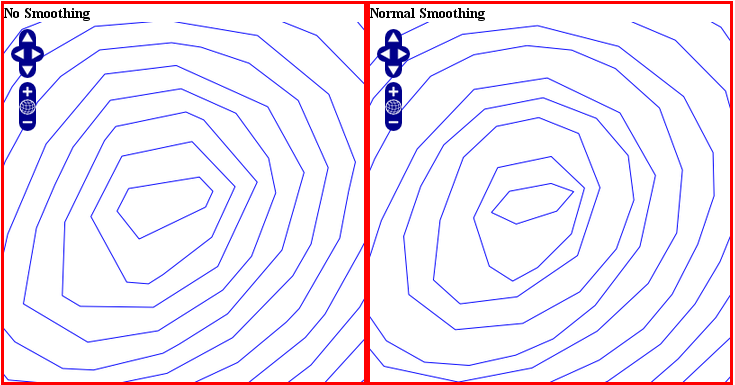 Smoothing is simply a new geomtransform function available at the layer and style levels. smoothing_size: The window size (number of points) used by the algorithm. The default is 3.
smoothing_iteration: The number of iterations of the algorithm. The default is 1.
preprocessing: Optional preprocessing method to add more vertices to the shape prior to smoothing, described below. Since the smoothing algorithm is performed on a window of x vertices (3 by default), there are some factors that might affect the result. If you are trying to smooth a line that has a very high resolution (high density of vertices at the current view scale), you may not get the expected result because the vertices are too dense for the smoothing window size. In this case you might want to simplify the shapes before the smoothing. You can combine smoothing and simplification in a single geomtransform for that. If you are trying to smooth a long line that has a low density of vertices, you may not get the expected result in some situations where you may lose some important parts of the shape during the smoothing, for instance around acute angles. You can improve the result by enabling a pre-processing step to add intermediate vertices along the line prior to smoothing. This preprocessing will be performed before the smoothing. It adds 2 intermediate vertices on each side of each original vertex. 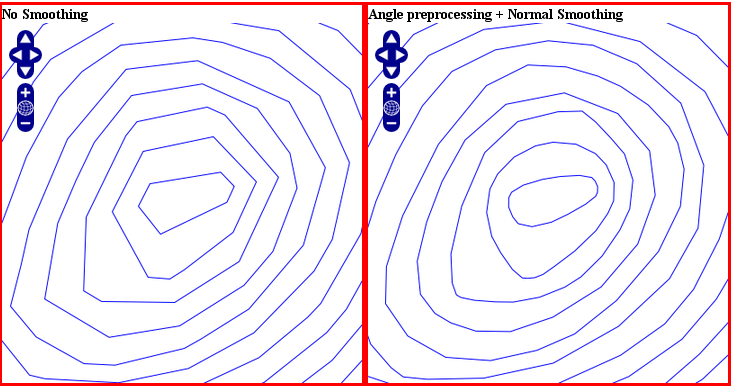 This is useful if we really need to preserve the general shape of the shape with low res data. Note that this might have an impact on the rendering since there are more vertices in the output. No issue for any MapScript bindings. The smoothing is handled/rendered internally as a geomtransform. msautotest will be modified to add some tests related to that new geomtransform. 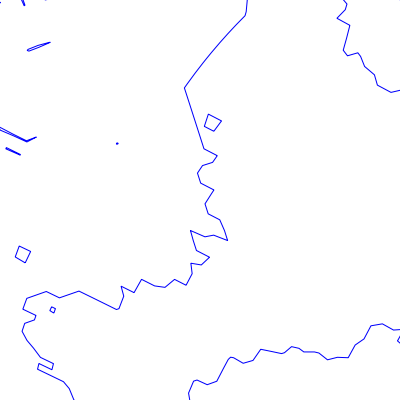 I did a quick performance test: it consists of a line layer (shapefile) that draws an 1200x1200 image with 2400 shapes. The number is the layer draw times. +1 from Tom, Perry, Stephen, Tamas, Stephan, Daniel, Jeff and Michael.